We took the best features of our water-based machines and created a lightweight land detector called the Headhunter LANDPRO. We raised the bar in land detecting by adding a built-in target probe with a highly accessible detachable mount directly on the searchcoil shaft! With a flip of switch, you have full detection power directed into the probe during target recovery. Your chances of scratching a valuable find are greatly reduced by being able to pinpoint your target very accurately. Checkout the valuable coins at the bottom of this page found during our prototype testing! Check out the new features on this brand new model! Searchcoils: 10-inch MegaDEPTH heavy-duty, optional 8" searchcoil with UW connector. Target Probe: Built-in full detection power probe for more accurate pinpointing and recovery; mounts on the control shaft for better accessibility. Headphone Transducers: Permanently encapsulated high-output piezoelectric. Headphone Earcups: Heavy-duty polymer full ear surround; extra comfortable soft cushions, ambient noise blocking up to 24 decibels, heavy-duty ear-to-ear wiring with heavy-duty ear-to-ear wiring for added strength; special connectors for interchangeable searchcoils and target probe. Controls: "Stay put" discrimination with segmented "click" positioning; full-range volume and sensitivity for fine adjustments. Search Mode: Silent search, slow motion full range discrimination. Operating environments: Land and beach. Cable: Straight, heavy-duty coil wire for added strength; coiled/straight wire on probe. Hand Grip: Soft foam anatomic for all-day use. Rods: Self-draining anodized aluminum with durable baked on black powder coating. Armrest: Adjustable stainless steel with waterproof padding. Isolator: Heavy-duty non-metallic with nylon wingnuts & stud assembly. Rod Length: 43 to 53 inches. Breakdown: Three pieces for easy storage and travel. Weight With Batteries: 3.5 pounds. Batteries: (2) 9-Volt cells of any type, carbon-zinc, alkaline or rechargeable can be used. 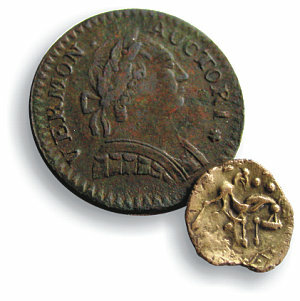 Undamaged Recoveries: Colonial Copper 1788 "Vermon Auctori"
found with Headhunter LandPro prototype during field testing. You are looking at the most compact amphibious metal detector in the world. 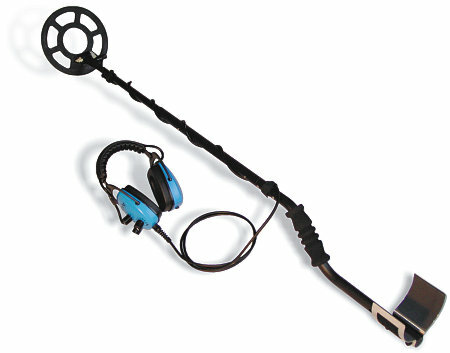 Not only does this metal detector contain today's most innovative electronics, it is the first detector that has all the electronics built into the headphones. By eliminating a control housing, weight of the detector is significantly reduced and so is your arm fatigue. When you travel, the Headhunter also takes up very little luggage space. All of this is possible because of our innovative microcircuitry and packaging. The Headhunter has been engineered to perform in both salt and fresh water, but it is also just as effective on land as well. 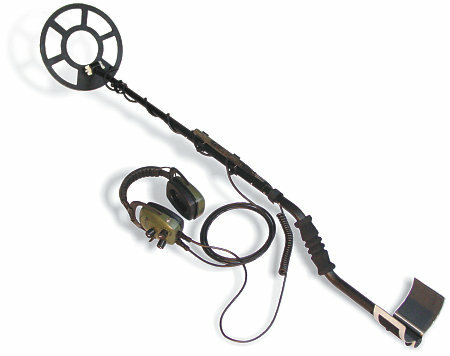 The headhunter is a true universal application metal detector and will open up a whole new world of excitement for you. 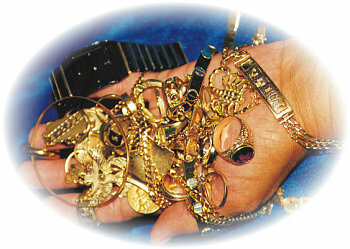 Tens of thousands of valuables are continuously lost each year and now you can start finding them! Check out the new updates for the improved model! Searchcoil: solid 8 inch MegaDEPTH heavy-duty negative buoyancy coil, co-planar, RF shielded, alternate choice of 10" searchcoil. Headphone Earcups: Heavy-duty polymer full ear surround; extra comfortable soft cushions, ambient noise blocking up to 24 decibels, heavy-duty ear-to-ear wiring with new seals for added strength. Operating environments: Salt & fresh water to 6 feet, beach, rain storms, land. Cable: Straight, heavy-duty coil wire for added strength. Isn't it about time you got your share?